The Bosnian Central Parliament is to discuss a new law proposed by the Bosnian Serb Party of Independent Social Democrats (SNSD) on 1st September 2010 to ban the face veil for which Muslim women have held a protest outside the Central Parliament in Sarajevo. IHRC is asking its activists to write to the President of Bosnia and Herzegovina to ask him to urge Bosnian parliamentarians to veto the bill on the face veil. In April 2010, the SNSD sent a proposed bill to the Bosnian Central Assembly “to ban clothes that prevent identification”. The Parliament had earlier scheduled the discussion for July but when a veiled female human rights activist attended the parliamentary session as an observer, the discussion was postponed until 1st September 2010. Muslim Bosnian activists have been campaigning against the proposed ban under the slogan ”Our Niqab, Our Choice, Our Right”. They argue that it would take away their religious freedom and further exacerbate the situation by possibly leading to a ban on the headscarf. A possible ban will alienate face veiled women from the society by imposing a 24 hour curfew on them. The bill proposes a fine of 50 Euros for women who violate the ban. France and Syria have already banned the face veil in recent moves. The Netherlands and Belgium are also planning to impose a ban of the face veil soon. Considering the fact that only a handful of Bosnian women wear the face veil, the move is a rather strong indication of increasing trend of Islamophobia that has been enforced by intolerant, racist and fascist political groups. IHRC believes that according to international human rights law, specifically article 18 of the International Covenant on Civil and Political Rights (ICCPR) the freedom to manifest religion and belief individually or with others is protected and considered fundamental to freedom of expression. Article 26 of the ICCPR outlines the right to non discrimination on the grounds of religion. Article 20 of the ICCPR states that international human rights law protects people against the promotion of religious hatred which amounts to incitement of discrimination, hostility or violence. Therefore, various legal expert and human rights organisations deem this move to be in breach of the aforementioned articles and international laws. The Islamic Human Rights Commission is alarmed by the widespread anti-Islamic rhetoric by various European governments that are now translating into policy which causes a fear of hate crime being on the rise as a result. I am disappointed to know that on the 1st of September 2010, Bosnian Central Parliament is to discuss a new law proposed by the Bosnian Serb Party of Independent Social Democrats (SNSD) to ban the veil. I believe that a veil ban would undermine the religious freedom of Muslim women. A possible ban will alienate face veiled women from the society by imposing a 24-hour curfew on them. Considering the fact that only a handful of Bosnian women wear the face veil, the move is a strong indication of an increasing trend of Islamophobia that has been enforced by intolerant, racist and fascist political movements. Your Excellency, according to international human rights law, specifically article 18 of the International Covenant on Civil and Political Rights (ICCPR) the freedom to manifest religion and belief individually or with others is protected and considered fundamental to freedom of expression. Article 26 of the ICCPR outlines the right to non discrimination on the grounds of religion. Article 20 of the ICCPR states that international human rights law protects people against the promotion of religious hatred which amounts to incitement of discrimination, hostility or violence. Therefore, various legal expert and human rights organisations deem this move to be in breach of the aforementioned articles and international law. 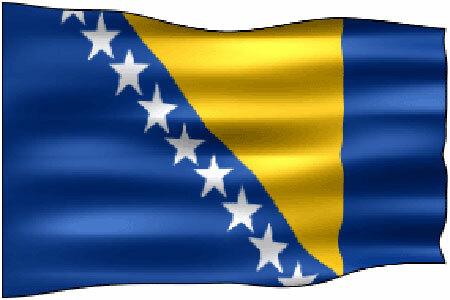 Your Excellency, Bosnia and Herzegovina has a very good reputation amongst the Muslim world and many Muslims feel a great sympathy and respect for your country. Imposing such a draconian ban will tarnish this image. Therefore, I have utmost confidence that your office will convince the members of the Parliament that banning the face veil will bring no benefit.